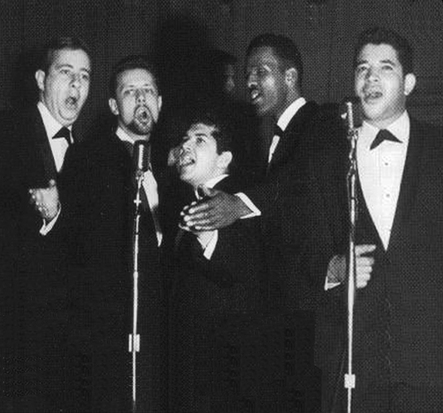 In 1958, Waldo Champen and Ed Jordan reunited in the 5 Delights, with Douglas Ferrer (second tenor), George Rosa (baritone) and Daniel Levy (bass). This mixed group (George was Spanish and Daniel was white) was already in existence; when they brought in Ed (an old friend), he, in turn, brought in Champ. They recorded a single record which was released on another of Jerry Winston's labels in June (Newport this time; it was distributed by George Goldner's Gone label). Ed led "There'll Be No Goodbye," while Douglas fronted "Okey Dokey Mama." When it started making a little noise, the masters were sold to United Artists, which re-released it on Unart in September. However, a little noise was all it made, and George and Douglas left. Two new members were found in Raymond Figuroa (a Spanish second tenor) and Ed Stokes (a white baritone). They had a release, in March 1959, on the Prince label (under the embarrassing name of the Watusi Warriors): "Wa-Chi-Bam-Ba," backed with "Kalahari." Then, a new label (Alan Abel's Abel Records) and a couple of new tunes: "The Thought Of Losing You" with Ed and "That Love Affair" with Champ. Once again there was no action, but this time they hung in there. 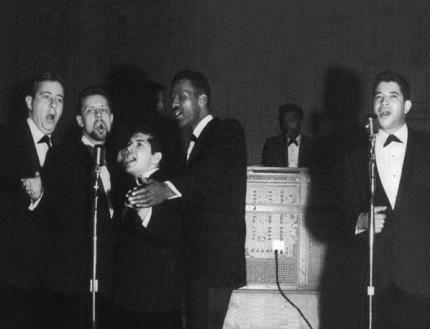 In 1961 they changed the group's name to the Mood Makers and had a single release on the Bambi label in May. "Dolores" (the Bachelors' tune) is led by Ed Jordan and "Dream A Dream" is a duet between Ed and Champ.